Kalihi Palama HCC members at the Terry Fator show. Terry is a member of the Kalihi Palama HCC and has been supportive of our club funding the Kihei project and other nonprofits, such as the Native Hawaiian Legal Corporation, and that of veterans, military, and other charitable organizations. All proceeds from sales of his puppets at the Hawaii Theatre event will go to the Shriner’s Children’s hospital. 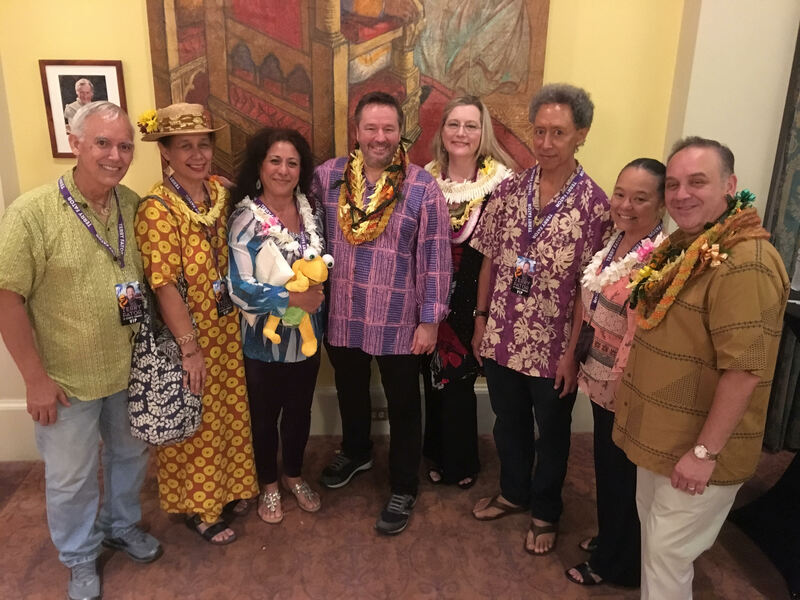 Pictured are: Bob Brown, Juanita Kawamoto Brown, Kaimo Muhlestein, Terry Fator and Mrs. Fator, Sterling Foster, Leimomi Khan, and Vincent Souza. This entry was posted in General on November 5, 2018 by Blaine Fergerstrom.